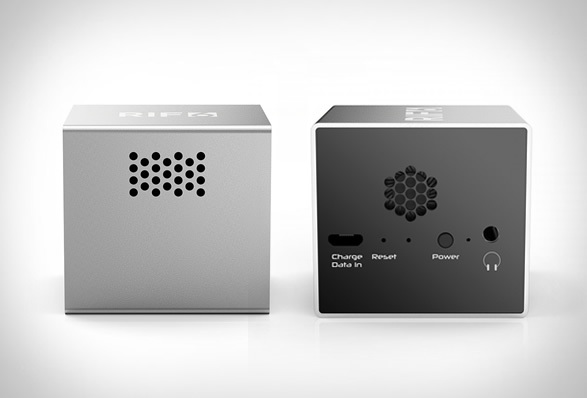 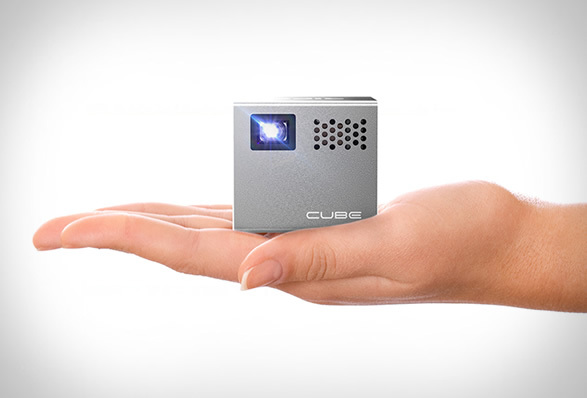 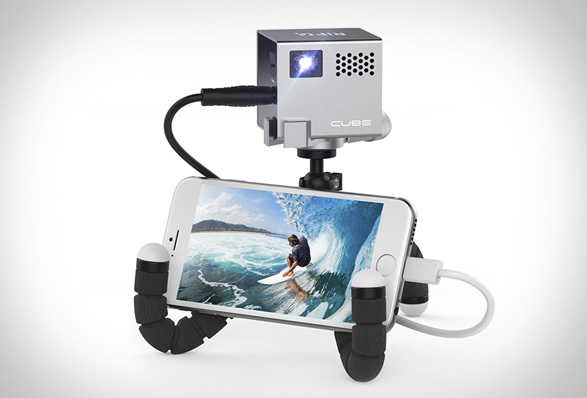 Cube Mobile Projector was designed and developed to take your mobile device to a whole new level. 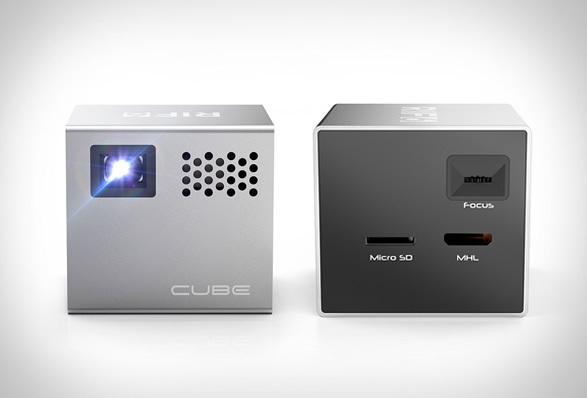 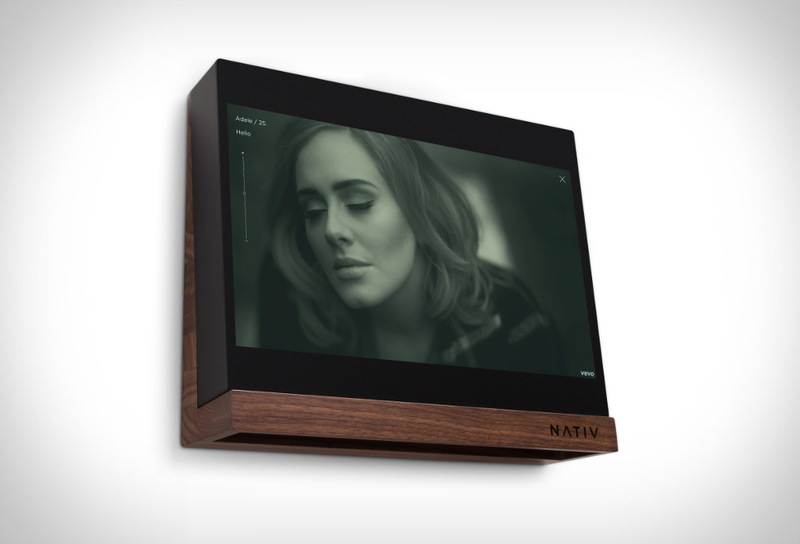 A small cube that goes a long way in boosting up the image size of your portable device, whether it´s a phone, tablet, a camera or your regular laptop, just plug it in and choose the surface you want to project the image on to, it can give a sharp clear picture of up to an equivalent 120” display. 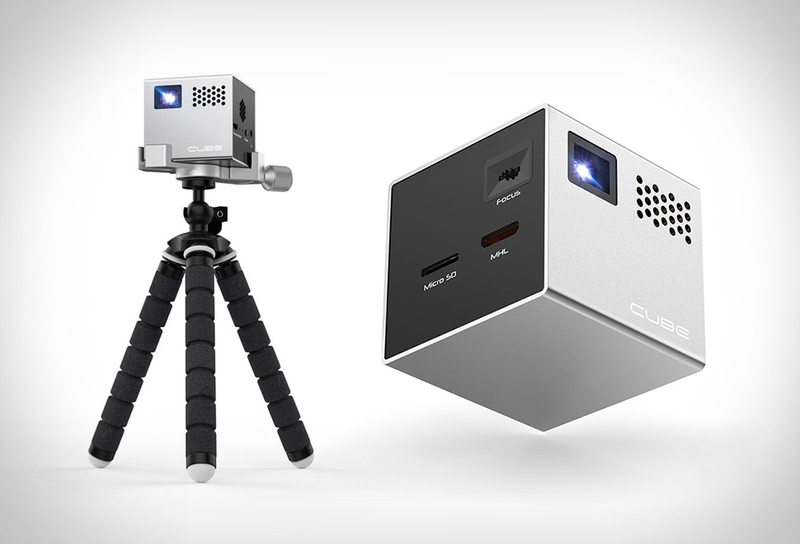 Because it´s small (2”x2”x2”) it´s also very portable, enabling you to take wherever you want to, it even has a micro SD reader, so you can put movies on there to. 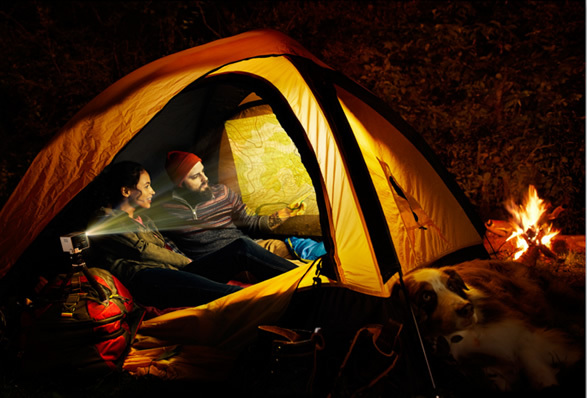 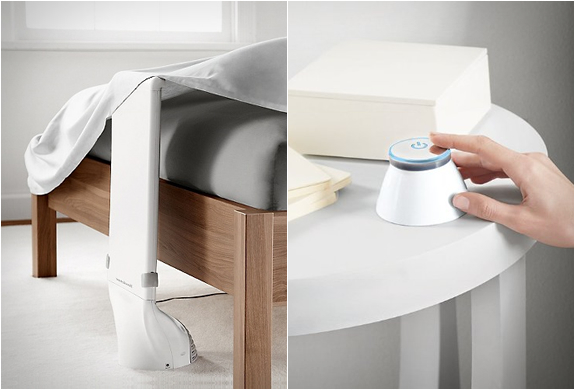 With a built-in speaker, a LED lamp, and with up to 20,000 hours of lifetime, you´re sure to enjoy it for a long long time. 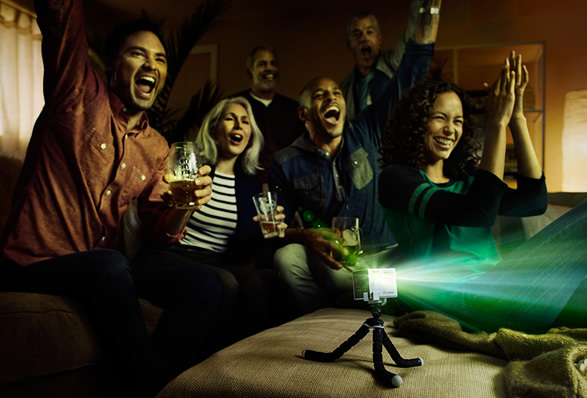 Featuring HDMI connection that allows an image quality of up to 854x480 VGA with less than 1% of distortion, the visual experience will surely please you. 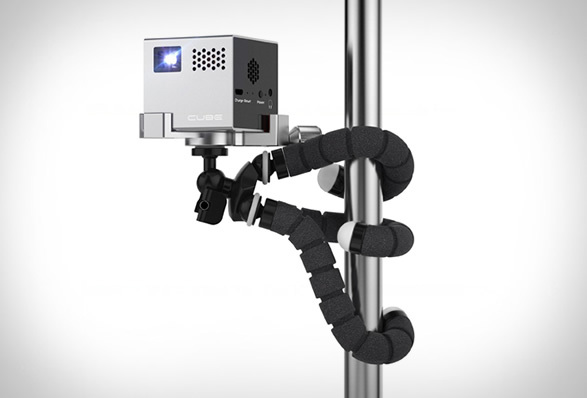 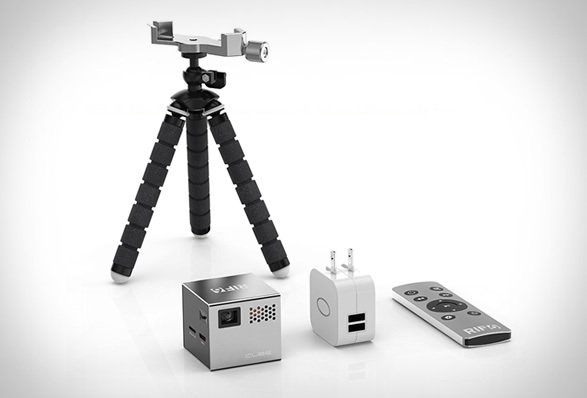 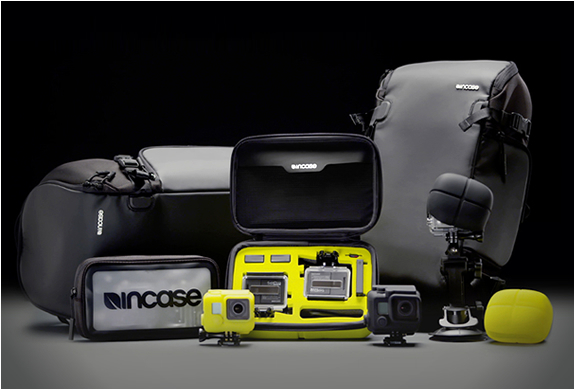 In the package you´ll get, along with the Cube, a flexible tripod, a remote control and a charger. 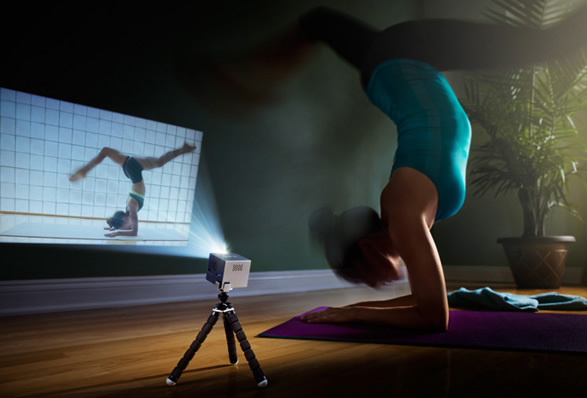 Simply plug in your phone, and project Netflix on to your ceiling next time you´re bored in a hotel room.